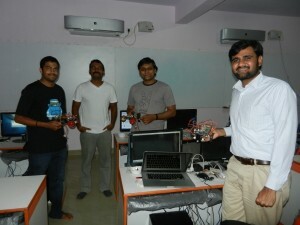 It was slightly difficult to buy a Raspberry Pi in India. It was either out of stock in most online retailer sites or was prohibitively expensive. There were even sites that were selling it for Rs. 4500 (~ $85). The Indian version of element14 was selling it at Rs. 2750 (which is slightly high, but still okay when you consider tax etc) but model B of Raspberry Pi was out of stock for pretty much most of the time. Update: It is now available in SP road (Bangalore) for around Rs. 3200. How I bought Raspberry Pi? Luckily for me, a colleague was traveling to US on a business trip. 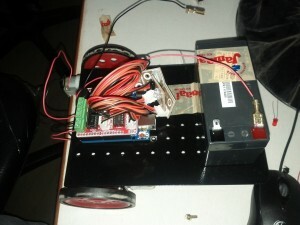 I bought it from element14/Newark and shipped it to my friend who picked it up for me on the way back to India. 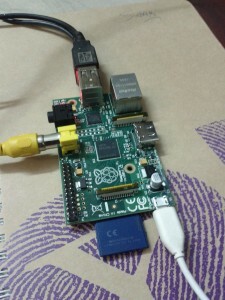 So far this seems to be easiest and the cheaper option to buy Raspberry Pi in India. And by the way, they have also given me a Voucher code NEW2P which will give you 15% off components that you buy from element14/Newark. Feel free to use it. I think the offer ends by 31st Jan. I didn’t have a proper power adapter for powering up Raspberry Pi. So I took an iPad adapter and a kindle cable to power Raspberry Pi. I then realized that I don’t have a monitor which will work with Raspberry Pi. My old monitor was just plain VGA and the slightly new one supported only DVI-B. Luckily Raspberry Pi has the composite video option and I was able to connect it to my TV. 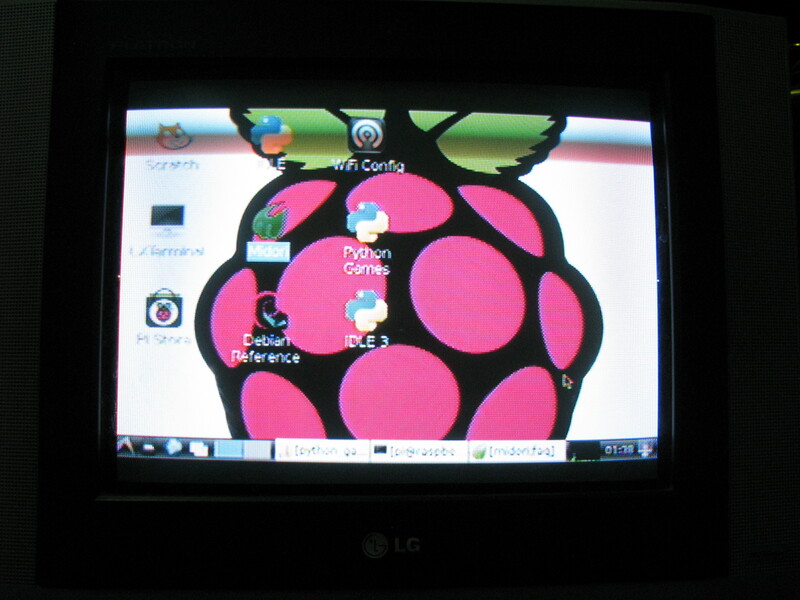 Even though the resolution wasn’t great, I still was able to boot the default OS image that I downloaded from Raspberry Pi’s website. Below are some pictures of it running in my TV. I will soon write another article about the accessories that you have to buy in addition to Raspberry Pi, to get the most out of it. Since I am having 4, I am planning to use one as a dedicated media center. I am thinking of loading XBMC on one of the Pi’s and permanently connect it to my TV. 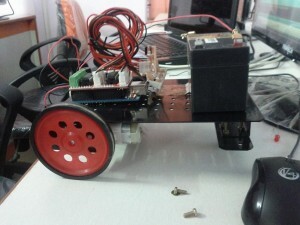 The dates for my second batch of Arduino Robotics workshop is confirmed now. It is going to be on Jan 26th and 27th. It is going to be a 2 full day workshop, like last time and I will also be providing the components needed for the workshop. You can find the course content, fees structure and the registration process in the workshop page. 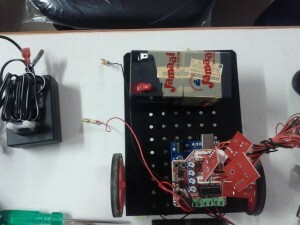 This entry was posted in News and tagged Arduino, News, Robotics, workshop on January 8, 2013 by Sudar.